Frenkie de Jong: Did you know? If you didn’t know these ten things about the Dutch midfielder, then it’s time you did, because he’ll be playing for us from July onwards! Frenkie de Jong was born on 12 May 1997, two days before a Sir Bobby Robson led FC Barcelona won the European Cup Winners’ Cup for the fourth time. Coincidentally, the final was played in Rotterdam, Holland. His hometown of Arkel in the south of Holland has a population of just 4,000 people. Curiously, it was exactly 30 years ago today that Barça signed another Dutch player who made history at the club. Ronald Koeman put pen to paper on 22 January 1989. And Koeman, scorer of the famous goal at Wembley in 1992, is currently De Jong’s national team manager. De Jong is the most common surname in Holland. Meaning ‘young’, there were 90,000 people of that name in the country in 2007. 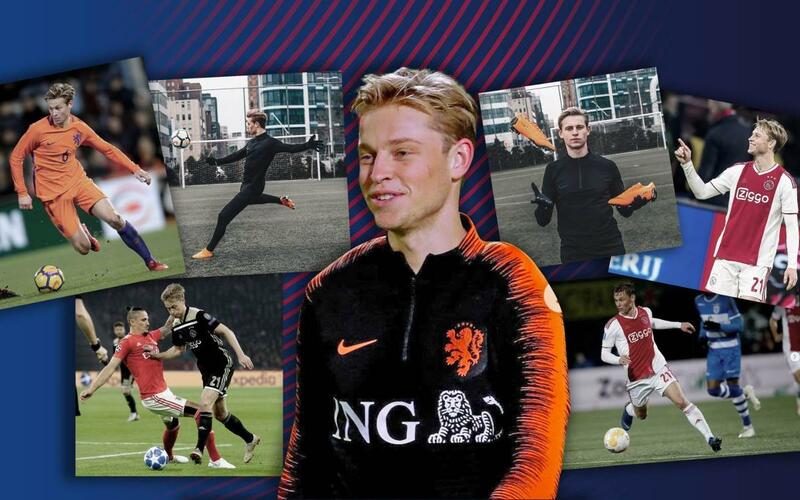 Frenkie de Jong becomes the twentieth player from the Netherlands to represent FC Barcelona. A number of footballers have the same surname as Frenkie, including Luuk de Jong (PSV), Nigel de Jong (Al-Ahli) and Siem de Jong (Sydney FC). He made his Ajax debut against the club where he started out in the game, Willem II. That was in 2016, when he was 19 years of age. At Ajax, his shirt number was 21. He describes his greatest passions outside of football to be travelling, listening to music and playing videogames.